You can now have notifications sent to channels for monitor rule operations etc. Already the 4th week in December, I’ve attended a end-of-the-year party everyday this week. I hope everyone is enjoying the holiday season as much as me. This will be the last of this year’s weekly updates for Mackerel. Since September of 2014, we’ve continued our tradition of “Consecutive weekly releases” and we’ll be aiming for 200 consecutive weeks in the coming year. We’re also excited to deliver various new functions/updates to everyone in 2018! It is now possible to have event notifications sent to notification channels when monitor rule related operations (creating / updating / deleting) are made. 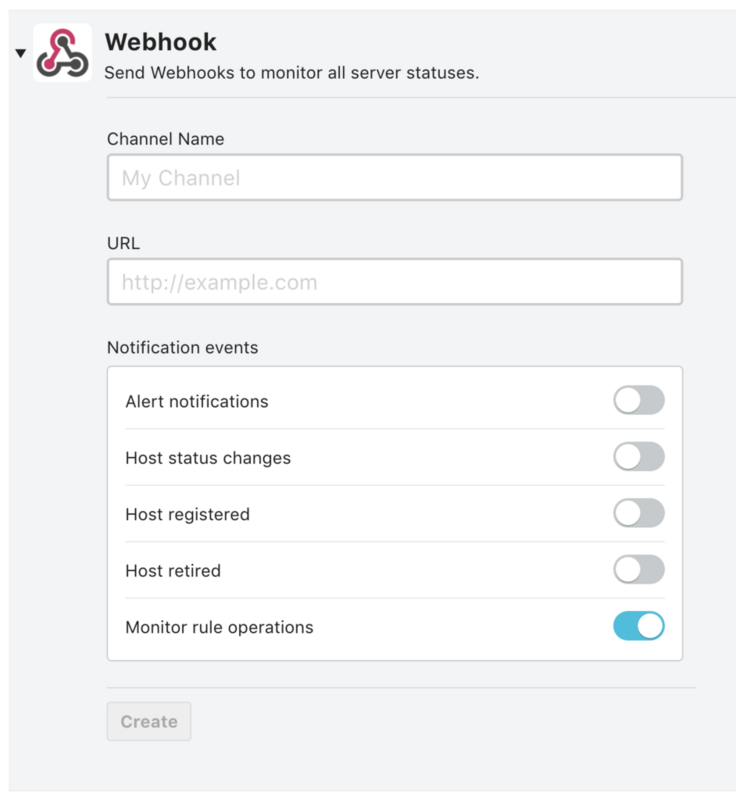 If you select Webhook as the notification channel, changes made to the monitor rule will be included in the JSON format notification content. The specifics follow below. The graph posting feature allows you to post graphs to notification channels by clicking the camera icon in the graph menu. This is a useful feature because it lets you share metrics at any time, even those not configured for alerts. Now, LINE and Yammer are also supported with this feature. Check out the following help page for more on this feature. [For Windows] The problem regarding address information of the network interface not being available was fixed. Although I mentioned this at the beginning, this will be our last update announcement for this year. Thank you so much for supporting Mackerel through 2017. We are excited for 2018 and continuing our weekly updates. Next year, we hope to deliver an even more advanced and efficient server monitoring/management experience to our users through Mackerel. Thank you for choosing Mackerel. Until next year!